In the realm of online gambling, fantasy sports has grown greatly in popularity and player access. There are numerous opportunities for US fantasy players to enjoy the rewards of real money gambling through this engaging gambling opportunity. Along with giving players the chance to utilize their bankroll to win real money each and every day, many online fantasy sports gambling sites offer daily free rolls. With a free roll, you risk no cash but have the opportunity to score and win real money. That’s a great prospect for any online gambler. Fantasy sports involves your putting together a roster of players from a specific sport, such as soccer, football, baseball, or hockey. The players on your fantasy roster are on different real teams that are presently competing. Once rosters are complete and the games are being played, your fantasy team competes against another, as each of your players accumulates points depending on how they perform in that week’s real games. After all real games that are associated with the competing fantasy teams are played each fantasy team’s points are added up and the one with the most points wins that contest. Depending on the structure of the fantasy competition, players may find themselves ranked in a league’s standings, where, over the course of time they win prizes or money; or that day, they may win real money based on the outcome of a specific competition they entered. The primary reason that many people get involved in fantasy sports has to do with their love of a specific sport. Those who are engaged in fantasy competitions love battling others who also love the sport and want to prove how knowledgeable and smart they are. If you become focused on fantasy sports gambling, you are taking fantasy to a new level where you’re using your knowledge to win real cash on a weekly or daily basis. In the US, the most active fantasy sport is the NFL, while MLB and the NBA are not that far behind. Other fantasy sports available to those in the US include college football and basketball, the NHL, soccer, NSCAR and the PGA. If you have solid knowledge of a specific sport or sports and possess an interest in online gambling, fantasy sports can be a great activity for you. Those who really love and know the sport in which they are involved as a fantasy gambler have the best chance of consistently winning real money. If you’re going to be successful at online fantasy sports gambling, you’ll need to utilize the following hints and tips. Know the rules of the sport. Understand how it’s played, including the strategies. Solid knowledge about the league. Possess thorough knowledge of the key aspects of the game. Know about the latest news and develops in the sport. Have in-depth knowledge of all of the players. Along with player information, knowledge of coaches, GMs, and organizations is important. Possess a keen analytical mind. Each week, online fantasy sports gambling sites offer US players thousands of opportunities to create and wager on teams. These sites provide a wide range of daily contests that payout immediately, fast drafts that take a few minutes, and a variety of sports. In order to succeed, you need to have the most up-to-date knowledge of the sport, players, and teams. 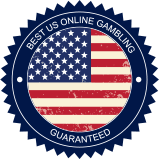 If you want to find the top online fantasy sports gambling sites for those in the US, please take a moment to review our listings of quality providers. We are focused on presenting you with information on those fantasy sports sites that offer the top deals, most action, and best opportunities. Get into fantasy sports action right now by joining a premium online site. We’ve found the online fantasy sports gambling providers that offer every player, no matter what their level of expertise and interest is, a chance to win in the world of fantasy sports.